We invite you to experience the art of winemaking at Carr Winery. 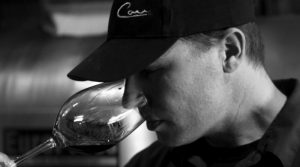 Ryan Carr is the owner, winemaker and grower for Carr Vineyards & Winery. Growing up in Southern California Ryan always had an interest in farming, but never expected he would end up in the wine industry. 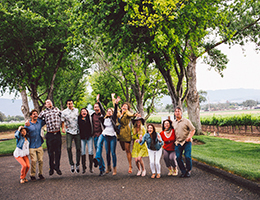 After graduating from the University of Arizona with an Art degree, Ryan moved to Santa Ynez Valley in California where he discovered the wine industry. With just a taste of some of the local wines he decided to pursue a career in viticulture. He began working in the fields pruning vines with one of the local vineyard management companies. Once the harvest of 1998 arrived, Ryan had the opportunity to work at Central Coast Wine Services in Santa Maria where he got the chance to make wine with several different wineries. After learning the basics of making wine and working with so many great winemakers, Ryan decided he wanted to produce his first vintage. In 1999 Ryan made a Cabernet Sauvignon in his garage from grapes he helped to grow at a vineyard down the road. The vintage was a whopping 10 cases and was given away to friends and family. To his surprise people loved the wine. After making such a great wine from grapes he had grown, Ryan felt that this was the only way it should be done. With this belief in mind, Ryan and his friend Andy Kahn (winemaker for the Kahn Winery) started a vineyard development company. With this partnership not only would Ryan be able to grow grapes, but he also became the assistant winemaker for the Kahn Winery. In trade for Ryan’s time in the winery he was given the opportunity to make his first commercial vintage. Over the years, Ryan honed his winemaking and grape growing skills. 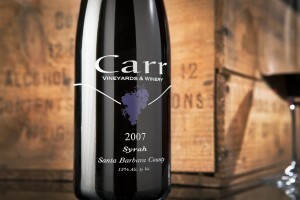 By 2004 the Carr Winery was making just over 1000 cases and had become nationally recognized. By 2006 Ryan had helped build three wineries and planted over 200 acres of grapes in Santa Barbara County. Now he was finally working on a winery of his own. In the spring of 2007 Carr opened its doors in downtown Santa Barbara. The winery was one of only four full production wineries and tasting rooms in the downtown area. Since then the wines and the facility have received many accolades and awards and Ryan has continued to produce some of the finest wines in Santa Barbara County. You’ve met Ryan, now meet the rest of the Carr Winery Crew.